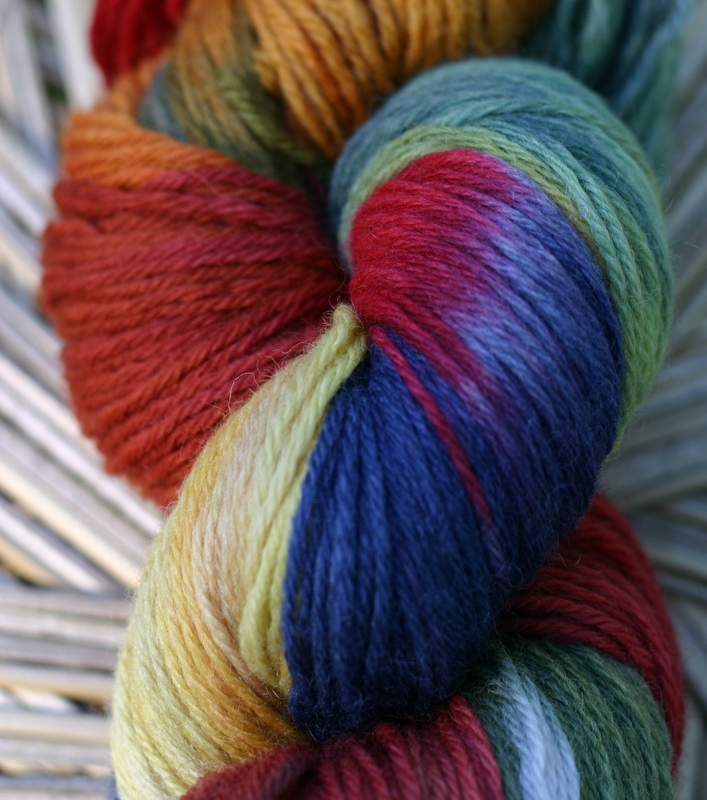 Really, what else needs to be said about these gorgeous new colorways I've created using low~impact dyes and 100% sustainable virgin wool! The first is named, Carnival, inspired by a series of photos I took of the boys at our local small town summer festival. From the hot pink cotton candy that melts on your tongue, to the bountiful array of produce and fresh cut flowers at the farmer's market; I wanted to celebrate this time of year when vibrant color is transforming all around us. The summer goes by so fast here in Wisconsin, that I never want to rush the warmth away, but I long for my favorite time of year when the forest evolves into a peaceful extravaganza of color! 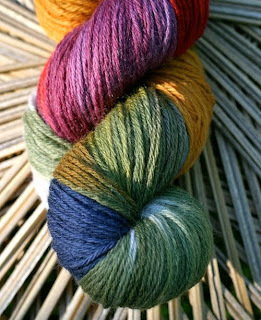 My second colorway Autumn Splendor, carries a more muted palate of teal, avocado, plum, rust, & golds to warm you against the cool autumn breezes. 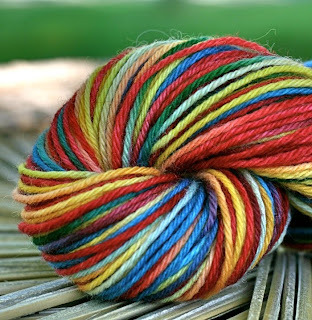 I've split Autumn Splendor into approximately 50 gram hanks (worsted weight) and will have them for sale in my shop sometime Tuesday afternoon. This size hank would be perfect for the Luna Sweater or if you're like me, just to leave laying around the house and admire!